1. A judge must be a member of the Fell Pony Society. 2. A judge should always remember that it is a great honour to be invited to judge at a show. He/she should reply promptly to any invitation to judge. 3. Any judge who feels unable to judge any class in the schedule should inform the show secretary well in advance of the show. 4. A judge should arrive at a show at least half an hour before the commencement of classes. 5. All judges should be neatly and appropriately dressed when judging. 6. As an officer of the Society a judge should act in a courteous and considerate manner both inside and outside the ring. 7. A judge should not accept more than six invitations in one year, to judge Fell classes on behalf of the Society. 8. Judges on the Society's panel should exercise discretion in accepting invitations to judge the same type of class in the same area in any one year, preferably not judging two shows within 40 miles of each other in the same year. 9. Judges must not canvas for judging appointments. 10. Judges may be accompanied in the ring only by a person or persons appointed by the show, or by one of the Society's probationer judges. Judges must not have as a Steward any person who has a member of their family competing in the same ring. 11. Judges must not have access to a catalogue prior to judging but may have access to a schedule and appropriate Rule Book. 12. A judge should try to avoid meeting all exhibitors, their helpers and ponies on the day/s of the show prior to entering the show ring in which he or she is to judge. 13. Judges should remember that each competitor pays the same entry fee and therefore merits the courtesy of having his/her pony inspected. 14. No contact should be made between the judge and the spectators between the time when judging begins and ends. 15. A judge should not call any exhibitor by his/her first name in the ring, or engage exhibitors in conversation relating to the breeding, name or ownership of a pony during judging. If a competitor wishes to talk to the judge, he/she should be encouraged to do so outside the ring, after judging is completed. 16. A judge may not judge a class in which to his/her knowledge a pony bred, sold, leased, or produced by the judge, or his/her immediate family or employer is exhibited. A judge may not judge a pony in which he/she has a financial interest. Should this situation arise, a referee, preferably on the appropriate panel of judges, should be appointed by the show secretary to place the pony in question in its position in the class. 17. 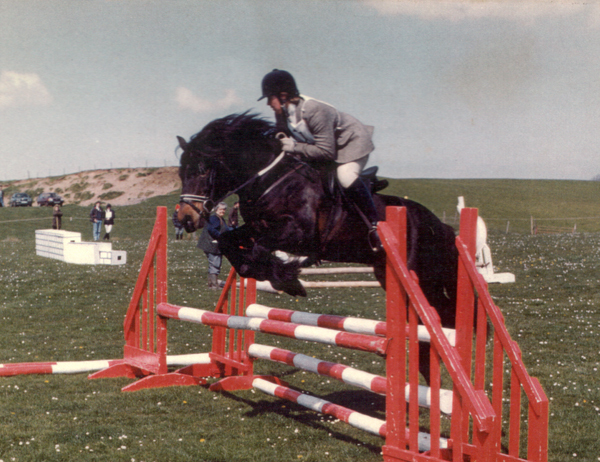 If in the opinion of the judge any pony entered for any class he/she must judge, is unsound, the judge may, at his/her discretion, require the exhibitor to withdraw the pony from the class, subject to the right of the exhibitor to refer the matter to a veterinary surgeon if one should be in attendance. If no vet is available, the judge's decision is final. 18. Judges should request any competitor whose pony appears to be a danger to others to leave the ring, and ensure that in large classes (especially ridden stallions) the ponies are lined up in a position which affords maximum space and minimum danger to competitors. 19. Judges should at all times remember that they are judging Fell Pony Breed classes and therefore the essential Breed Type as emphasised under the heading General Characters in the Breed Standard must be foremost in their priorities. A Judge should be able to relate the written word to the actual pony and be proficient in recognising faults such as cow and sickle hocks and the difference between round and flat bone. 20. When judging In Hand, Ridden or Working Hunter qualifiers under Ponies (UK), NPS or BSPS rules, judges must be aware of any rules of these associations in addition to Fell Pony Society Rules. ALL JUDGES WILL BE EXPECTED TO TAKE PROBATIONERS FOR ASSESSMENT, except for newly appointed judges marked on the Judges List by an asterisk*, who are not permitted to take probationers until the asterisk is removed. Any judge who judges at a show at which a probationer judge has been accepted should fill in his/her report promptly, as failure to do this may delay a probationer judge's progression. Reports are confidential and should give an honest and accurate report of the judges opinion of the probationer judge as a future panel judge of the society. Reports should be submitted direct to the Probationer Judge's Scheme secretary. Under no circumstances should they be handed to the probationer judge to submit. Newly appointed judges will be marked on the Judges List by an asterisk* until they have judged 6 shows. Council will review these judges and remove the asterisk when they feel appropriate; the number of shows may be less than 6. 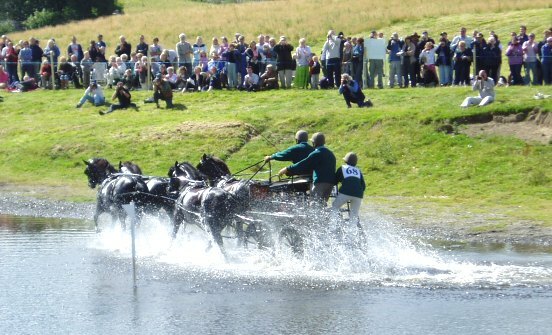 During this	time they may not accept any invitation to judge classes on the Society's behalf at any of the following shows: Fell Pony Breed Show, Stallion Show, Southern Show, Great Yorkshire Show. After 6 shows the asterisk will be removed automatically and the restrictions lifted. It may be on some occasions that a judge will be added to the Panel of Judges without an asterisk from the onset. However the Judges Panel will be reviewed annually by the Council. These documents may be reproduced in their entirety but may not be edited - all references to this document in publications must go to the Fell Pony Society, UK.